Al, Brock, Dave, and I did a raptor count south of Yuma on Saturday the 12th. It was pretty chilly for Yuma, but the birds didn’t seem to mind! We covered some fields east of San Luis, the fields sw of County 19th Street & Ave B, and many of the fields se of County 19th Street & Ave 2E. The Northern Harrier numbers have increased dramatically since our two previous counts. 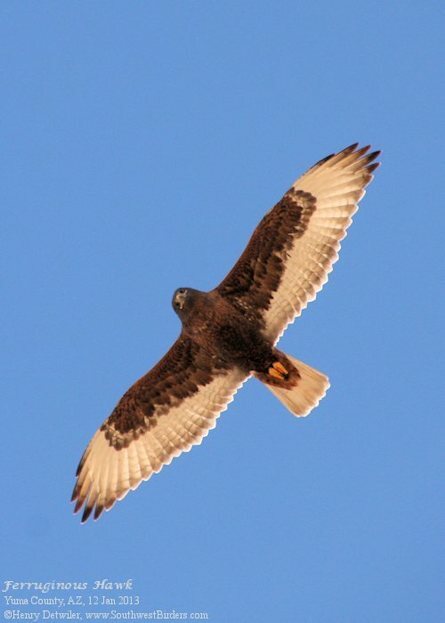 We were also happy to see 3 dark-phase Ferruginous Hawks, which tied the number from 28 Dec 2012. 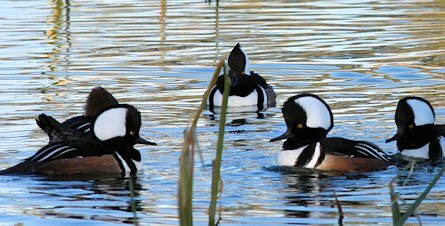 Then, on Sunday the 13th, Ed Kandl and I stopped over at Cocopah RV Park and counted a flock of 22 Hooded Mergansers. 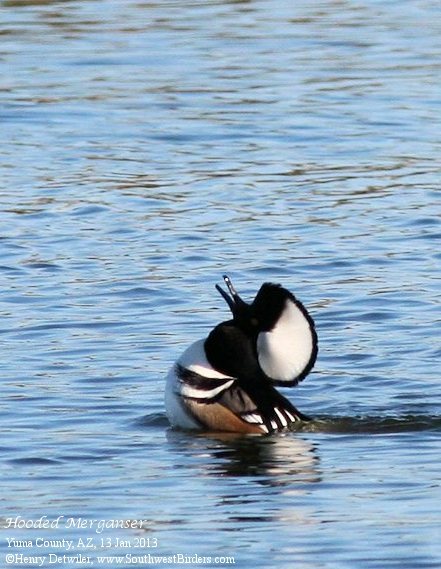 Some of the males put on a great show, rising partially out of the water, making a fast “clattering” call, and fully displaying their crests, competing with each other for the attentions of the many females in their midst. Other birds in the pond with the mergansers were: 1 Canvasback, 2 Blue-winged Teal, 6 Ring-necked Ducks, American Coots, and Pied-billed Grebes. We drove on to the Imperial Valley after that. 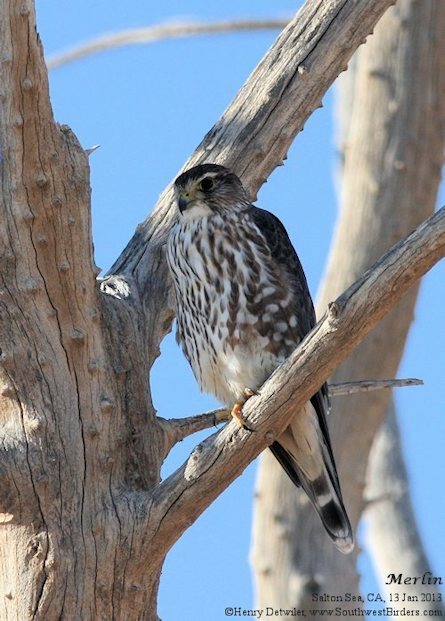 Our main focus was the new geothermal bubbling mud pots south of Mullet Island, but we also scored with four species of falcons, including this fine Merlin.